This year has been a busy one for both the Secretariat and our partners all around the world, with IPSI gaining more recognition in a number of international processes, particularly those of the Convention on Biological Diversity. The partnership has now grown to 172 members, and the quantity and quality of collaboration between members continues to improve. We at the Secretariat have a lot of exciting projects planned for 2015 as well, and we look forward to working with all of you next year and into the future. In addition to season’s greetings, we are looking forward to the upcoming Sixth IPSI Global Conference (IPSI-6), to be held in Cambodia in January. In the meantime, we would like to give our members gentle reminders about the questionnaire for the Interim Review of the IPSI Plan of Action, and about our Call for Papers for the second volume of the “Satoyama Initiative Thematic Review”. 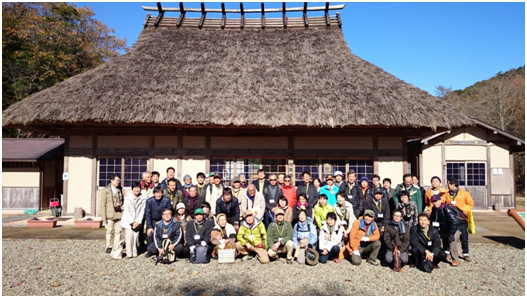 We also have a report from a recent workshop in the Hokusetsu region of Japan, and a new IPSI case study report submitted by the University of Natural Resources and Life Sciences, Vienna (BOKU). As always, we hope you will contact us to submit any new case studies or other information about your activities, or if you have any questions or comments. Once again, we wish you the best for the coming year, and we look forward to hearing from you regarding all of your activities supporting Socio-ecological Production Landscapes and Seascapes. Thanks to everyone who registered for the Sixth IPSI Global Conference (IPSI-6), to be held in Siem Reap, Cambodia from 12 to 14 January 2016. Registrations are now closed, and we are looking forward to a great conference with the participation of many IPSI members. IPSI-6 will consist as usual of a meeting of the IPSI General Assembly and a Public Forum, plus chances to visit nearby sites, socializing and other events for participants. Detailed information on the conference programme will be made available to those who have registered when it is ready. For those who are unable to attend this time, please keep an eye on the IPSI website for information on other members’ activities, and we hope we will see you at another event soon. For more information on IPSI-6 as it becomes available, please check the IPSI website here. As part of the mid-term review of the IPSI Plan of Action 2013-2018, the IPSI Secretariat has produced a questionnaire for IPSI members to share their experiences and opinions on the development of the partnership to date and its strategic direction in the future. It is very important that all members fill out the questionnaire and send it to the Secretariat at their earliest convenience. The questionnaire is available for download on the IPSI website here. The event consisted of two days of presentations and discussion, plus an excursion to see some of the local landscapes and production activities carried out in them. The IPSI Secretariat’s own Mr. Wataru Suzuki was invited to facilitate the discussions, and was joined by Mr. Kazuhiko Seriu. The two were also pleased to meet representatives from other IPSI members there, including from National Dong-Hwa University in Chinese Taipei and the Social Policy Ecology Research Institute (SPERI) in Viet Nam. 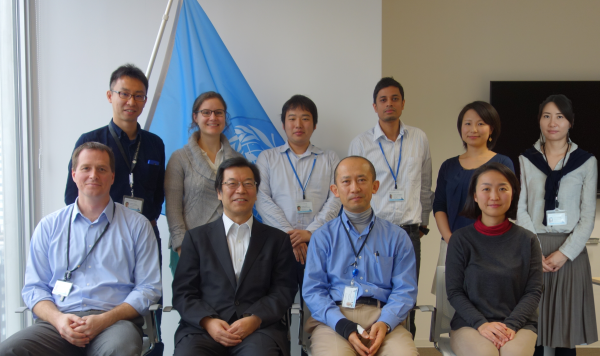 This event was a great opportunity to explore issues facing SEPLS in Japan, and also served to highlight the increasing role that IPSI is taking in coordinating international efforts towards SEPLS revitalization and sustainable management. The IPSI Secretariat recently received a case study report from partner organization the University of Natural Resources and Life Sciences, Vienna (BOKU), in collaboration with the Sölktäler Nature Park in Austria, titled “Mountain pasture management in the Sölktäler Nature Park”. In Austria, being a very mountainous country, central elements of the cultural landscape (SEPLS) are mountain meadows and pastures. They not only have a very rich biodiversity, with a large number of (endangered) species and diverse habitats, but are also important sites of agricultural production, tourism, culture, tradition, knowledge, and sustainable land use. For both locals and tourists, mountain pastures represent Heimat (identity, homeland), comparable to the Japanese satoyama. Due to socio-economic reasons, however there is a general trend of abandoning the extensive use of high mountain pastures, which then develop into forest land. In the Sölktäler Nature Park (two trough valleys in the Niederen Tauern/Styria), mountain pasture farming is still practised in a traditional way. Once the food of poor people, the strong-smelling Styrian cheese (produced during the summer on the mountain pastures) is nowadays a culinary standard-bearer and a delicacy renowned countrywide. The management body of the Nature Park promotes public relations to strengthen public awareness of the relevance of mountain farming for the conservation of bio-cultural diversity and mountain pasture landscapes, and supports sustainable tourism, local mountain pasture products, re-valorisation of old customs, traditional knowledge and trading routes, organizing training courses (e.g. to hand on mountain farmers´ traditional knowledge and skills), volunteers´ activities for nature conservation, botanical/faunistic excursions and lectures and related scientific research. Much more information about these activities can be found in the full case study write-up on the IPSI website here.